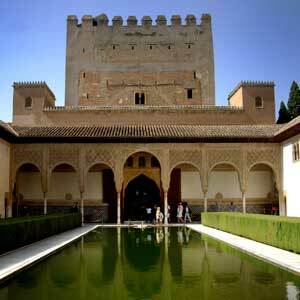 Join a Group and visit the Alhambra including Tickets, Guide and return transport from Almeria. Departing from Almeria we will pass through Tabernas Desert in direction to Granada. 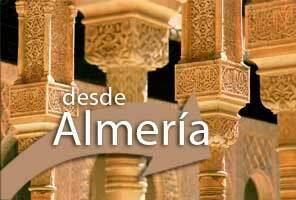 The tour includes the tickets for all parts of the Alhambra complex, the official guide who will accompany you during the whole morning and the return transport to Almeria city center. After visiting the Alhambra the bus will bring you down to the historic city centre where you will have time to make some shoppings and have lunch. Later in the afternoon we return to Almeria. We will leave from Almeria to Granada following the route through the famous Tabernas Desert to reach the province of Granada through the Mountains of Filabres. The land of Guadix will welcome us, always guarded by the imposing profile of Sierra Nevada. Te recogeremos de tu hotel a la hora indicada abajo. Podrás disfrutar de un breve recorrido panorámico por Almeria antes de inicar el viaje a Granada. You can pay with your credit card (VISA and MasterCard) or bank transfer. 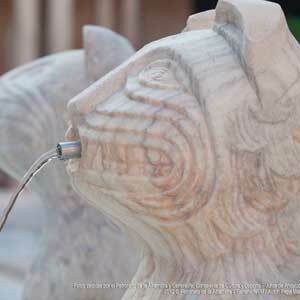 We will pick you up from your hotel in Almeria city centre between 6.15 and 6.45 AM. In case you are not lodged in a hotel in Almeria city centre, we will provide you with an alternative pick-up point after the completed booking process. - El Toyo (min. 6 people).